Iranian President Hassan Rohani and his Turkish counterpart, Abdullah Gul, have met in Ankara and vowed to double trade between their two countries. Rohani said after the June 9 talks that he and Gul discussed economic cooperation and agreed to boost annual bilateral trade to some $30 billion a year. Rohani said he also discussed regional security with Gul, saying, "There is instability in our region and that is not to anyone's advantage." 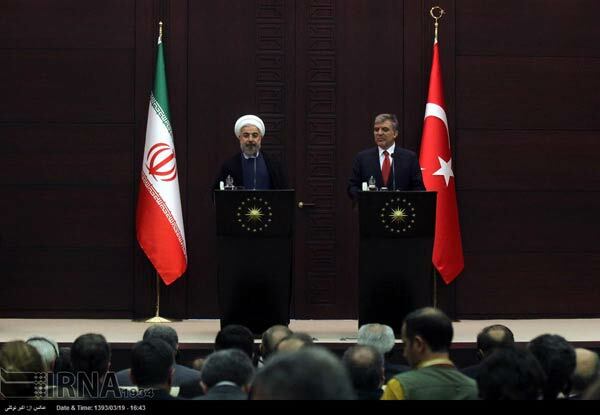 Rohani started a two-day landmark visit to Turkey on June 9, seeking to improve ties between the two countries. Iran and Turkey have been at odds over the conflict in Syria, with Ankara backing the armed opposition and Tehran supporting President Bashar al-Assad. 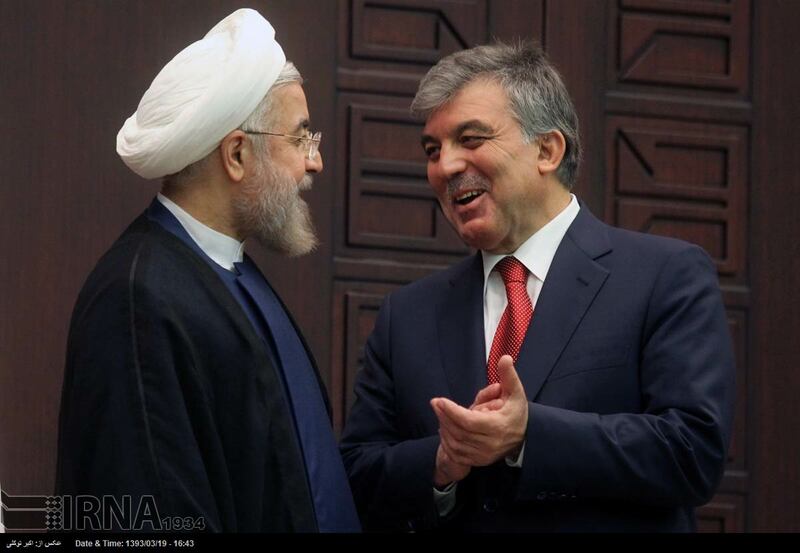 Rohani is due to meet also with Turkish Prime Minister Recep Tayyip Erdogan.